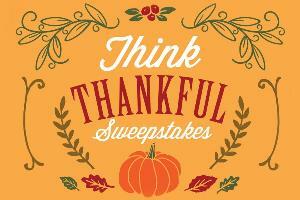 Prize: We’re thankful you’re here at Thanksgiving.com - America’s home for the holidays! In fact, we’re giving thanks for you! Enter here for your chance to win one of ten $100 gift cards that you can spend almost anywhere. What you must do to enter: Complete a quick form to be entered to win! Statistics: This contest was opened by 24 and entered by 3 ContestChest.com members. 12% of those who opened the contest, entered it.